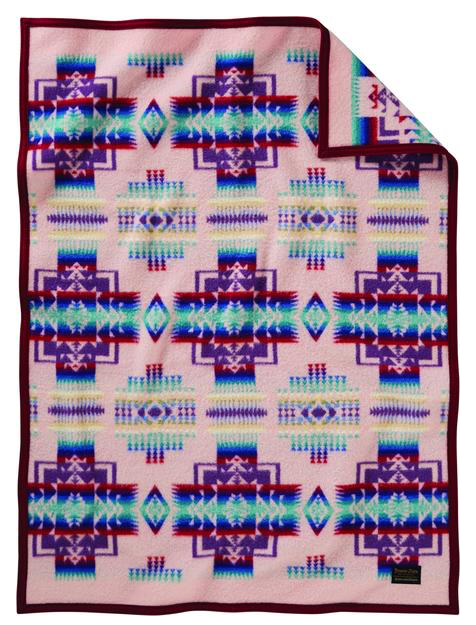 Designed early in the 1920s, the Chief Joseph design continues to be one of Pendleton’s most popular blankets. 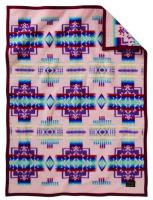 It commemorates the heroism of one of the Northwest’s greatest Nez Perce warriors, Chief Joseph. His Nez Perce name was “Hin-mah-too-yah-lat-kert”, which means Thunder Rolling Down Hill. The Nez Perce were known for their skills as warriors, breeding of Appaloosa horses, support and guidance for the Lewis and Clark Corps of Discovery, and their peace efforts with the US Government.